Spring has finally arrived, the weather is warming up, and we can finally get excited about fresh spring vegetables hitting the market! That’s right! Although it may seem a bit early for planting gardens and harvesting crops, early April is actually peak season for many delicious veggies. 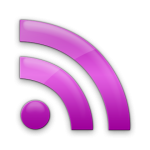 If you’re tired of microwaving frozen green beans or purchasing canned corn, listen up! 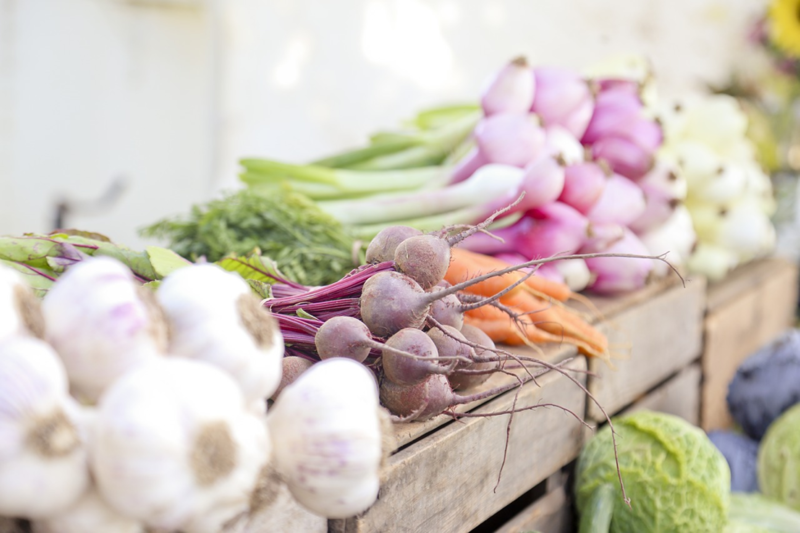 We’re about to share with you our top 5 favorite early spring vegetables that you can buy fresh in your local grocery today! 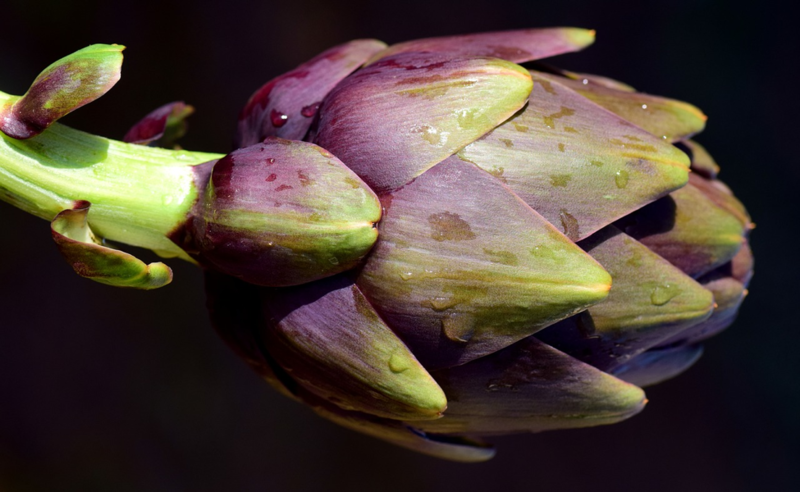 Artichokes are the buds of a plant that comes from the thistle family. They have been given their name due to a small, inedible, fuzzy center of the vegetable that would likely cause you to choke if you attempted to eat it. The peak growing season across the U.S. is typically in March, and they can be harvested anytime from April through May. Artichokes contain up to 28% of your recommended daily fiber intake, which make them a great vegetable for keeping your system clean and regular. They also contain high levels of vitamin C and K.
Recommended Cooking Strategy: We personally recommend roasting artichokes. Simply clean the vegetable, toss in oil, salt and pepper (or your favorite seasoning), and bake until the artichoke is tender and delicious. Asparagus is a herbaceous, perennial plant and is native to most of Europe, northern Africa, and western Asia. This particular veggie enjoys growing in cooler climates and is ready to harvest in most places, including the U.S., starting in February. Because April is the peak season for this vegetable, you may notice prices on this pricey veggie begin to drop. If you’re looking to pinch some pennies, we suggest buying the veggie in bulk when it’s cheap, blanching it, and then storing it in your freezer for a later date. 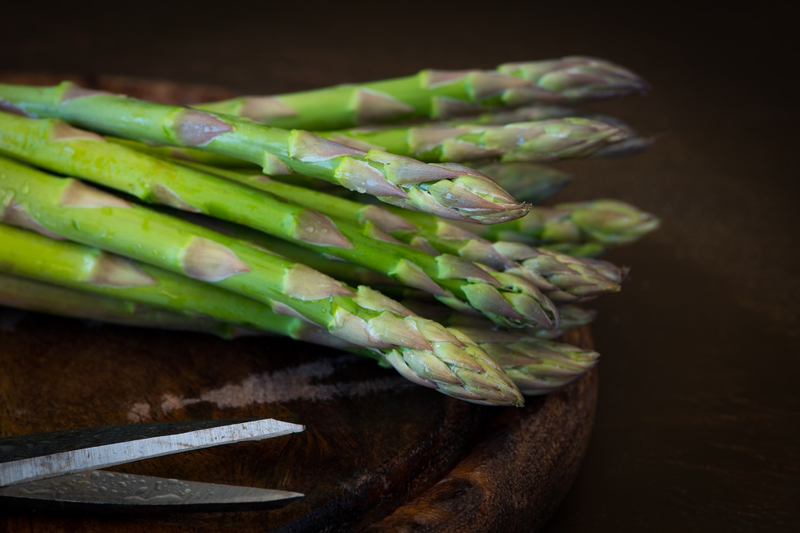 Asparagus is low in calories and sodium. This makes it a great side dish option if you’re watching your waistline. It’s also a good source of vitamin B6, calcium, magnesium, and zinc, and a very good source of dietary fiber and protein. Recommended Cooking Strategy: We believe that asparagus tastes best when cooked on the grill. Marinate this veggie in a little oil, salt and pepper, and then throw it on your grill for 15 minutes, and it will be ready to eat. Beets are a root vegetable that have been enjoyed in food dishes since the Middle Ages. 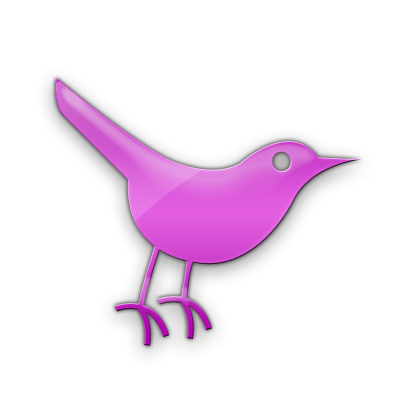 Fun fact: During the middle of the 19th century, wine was often colored with beetroot juice. Like most root vegetables, beets prefer the cool seasons of fall and spring. 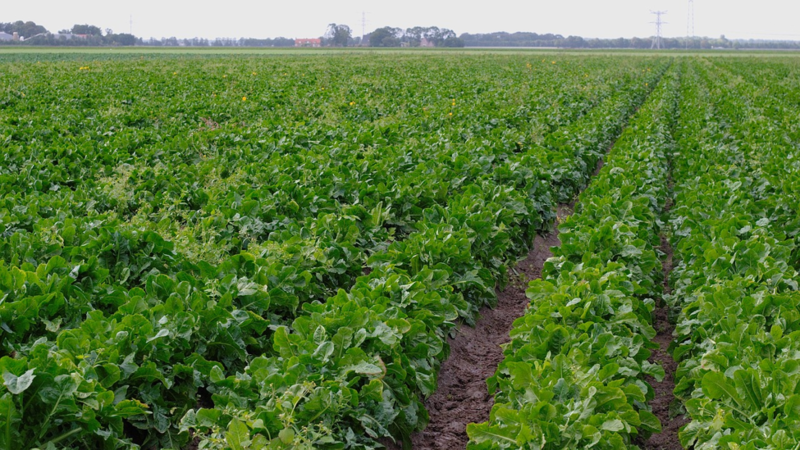 They are typically ready to harvest in the U.S. by late March or early April. 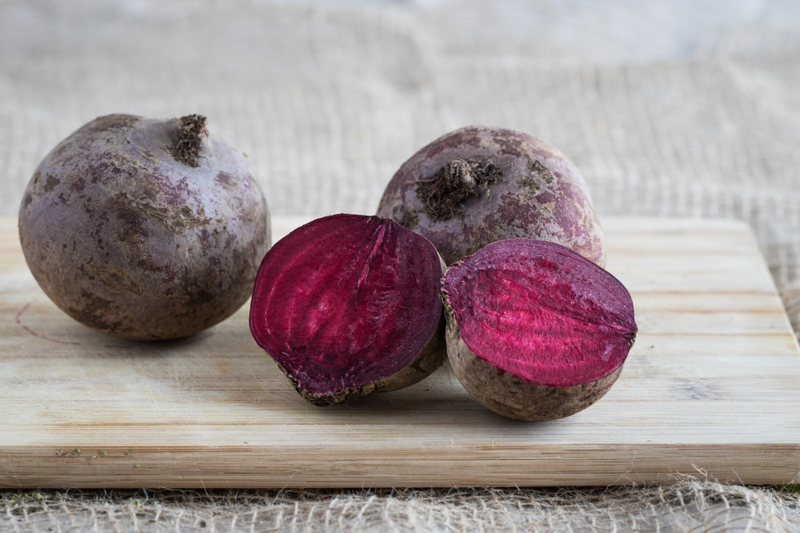 Besides tasting great, beets are often eaten due to their unique source of betaine–a nutrient that helps protects cells, proteins, and enzymes from environmental stress. They are also high in immune-boosting nutrients like vitamin C, fiber, and essential minerals like potassium. The only downside to eating beets is that they are high in sugar. For this reason, we recommend you eat them in moderation. Recommended Cooking Strategy: Steaming beets is one of the best ways to preserve the vegetable roots’ nutrients. Simply steam this vegetable in a veggie steamer and follow your veggie steamer’s guide for optimal results. Chicory is member of the endive family. Because chicory is a leafy green vegetable, it grows best during the cool seasons and is often planted so that it can be harvested in the early spring. This leafy veggie contains a natural source of inulin, a strong prebiotic. For this reason, many people consume chicory in order to ease their digestion problems and heal their guts. Chicory leaves also contain a large amount of vitamin K–a vitamin that’s essential for healthy bone growth. Recommended Cooking Strategy: Get the most out of consuming chicory leaf by simply adding it to a salad. Be sure to add in other leafy greens and veggies as this veggie often has a bitter taste when left unbalanced with other veggies. Believe it or not, most rhubarb that we eat in the U.S. is grown in hothouses and is called “hothouse rhubarb.” Every year growers plant hothouse rhubarb in the fall, and it’s ready to harvest and sell to consumers in early spring. The reason this veggie is grown in abnormal conditions is because, when it’s grown in a hothouse over the winter months, the rhubarb stalk ends up becoming sweeter and less bitter. 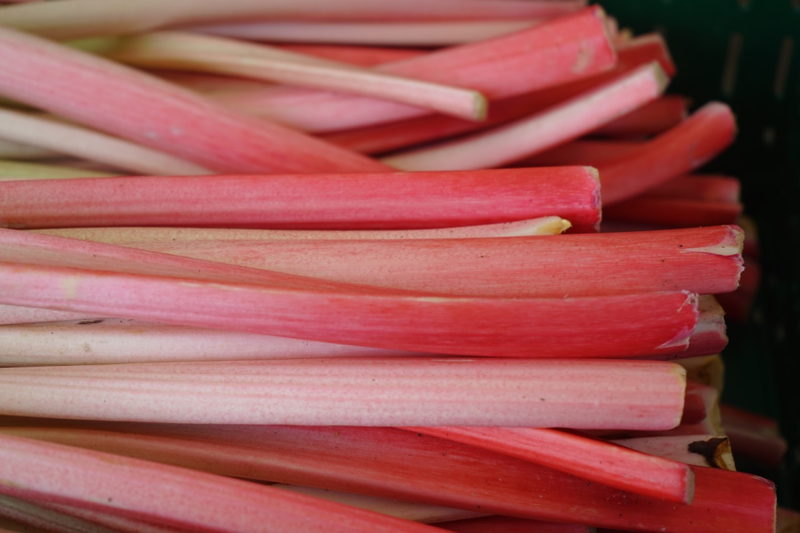 In the past, the Chinese would often use rhubarb for medicinal purposes. Today, many people enjoy eating it roasted, in pies, or shredded on top of salads. Rhubarb is full of antioxidants. In fact, it’s a fantastic source of beta-carotene and other polyphenolic compounds that work to protect the skin and eyes from free radicals. Aside from antioxidants, it’s also packed with vitamins and minerals that are essential for a healthy diet. Recommended Cooking Strategy: If you have a sweet tooth, we advise you to try making a rhubarb pie. Not only will it be sweet and delicious, but your will also be able to feel good about eating a pie that’s made out of veggies! Click here to check out one of our favorite rhubarb pie recipes! What is your favorite spring vegetable? Let us know in the comments below!